The Nebraska State Patrol (NSP) said they've already confiscated more than 4,500 pounds of marijuana this year and it's only May. 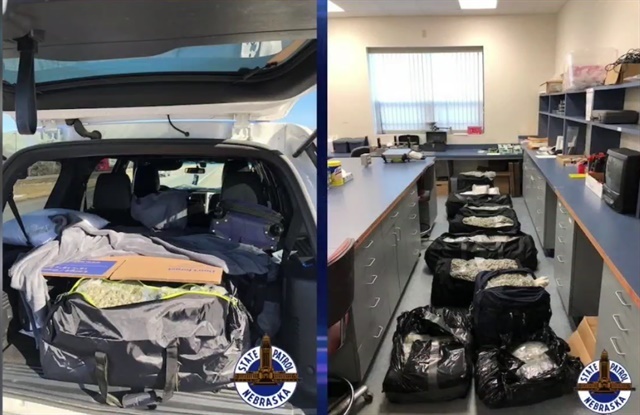 A Nebraska State Patrol sergeant told NTV News that in the past three years, they've averaged around 2,000 pounds of marijuana each year. With where they are at this year, they think they're on track to break a record. Routine traffic stops help lead the Nebraska State Patrol toward drug busts along Interstate 80, with many people bringing drugs in from other states. Sergeant Lee Jacobsen said NSP is looking at doubling and possibly tripling what they've accomplished in terms of marijuana seizures in past years.